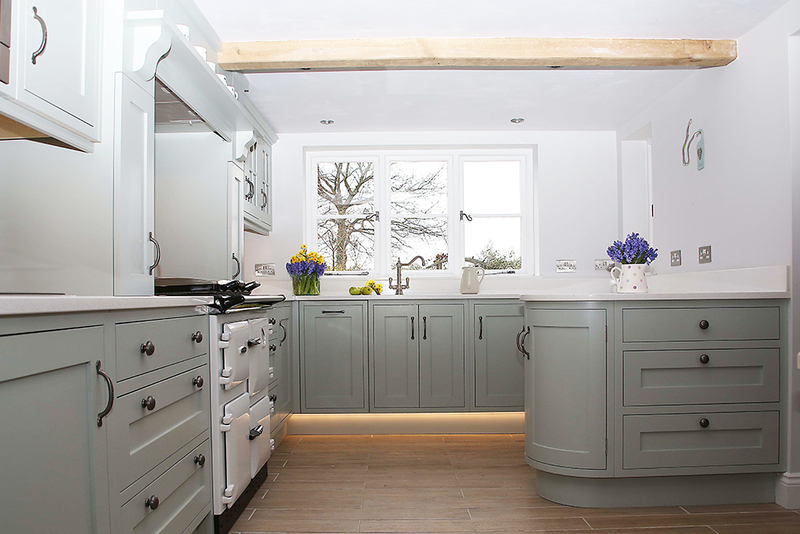 The kitchen reflects contemporary living in this charming home filled with character features including oak beams. 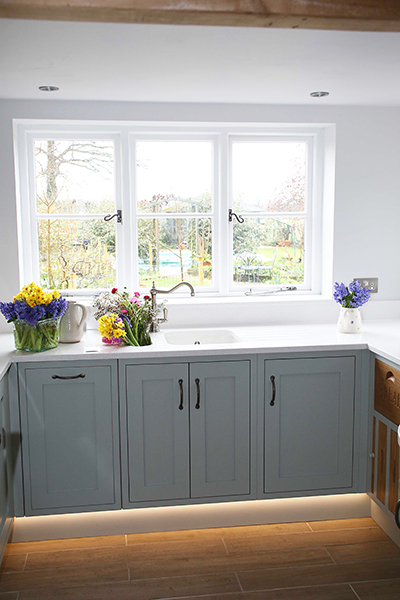 The simple shaker style hardwood doors painted in Farrow and Ball Light blue are complimented by a Silestone work surface in Blanco Maple. 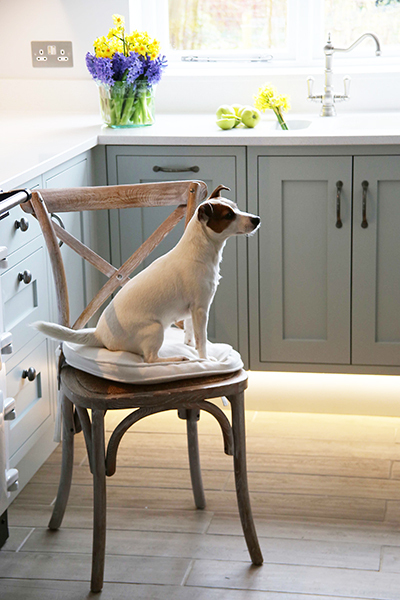 Plinth lighting completes the modern look. 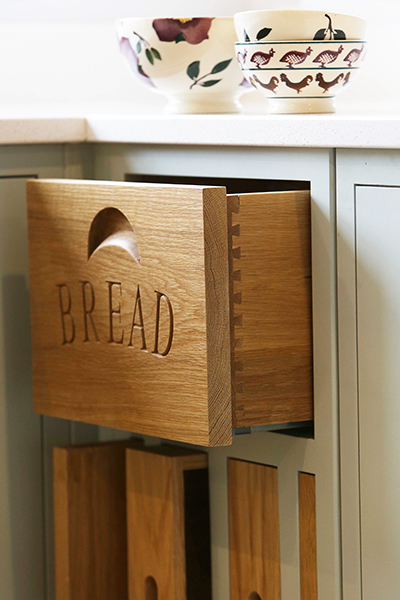 Other features include a curved peninsular, a large traditional chimney surround with practical storage space included within each pillar and a carved oak ‘bread’ drawer with fitted serving trays and chopping block slots beneath. 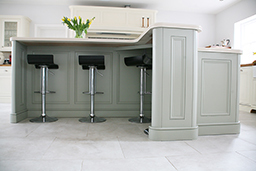 We pride ourselves on excellent design, craftsmanship and attention to detail. 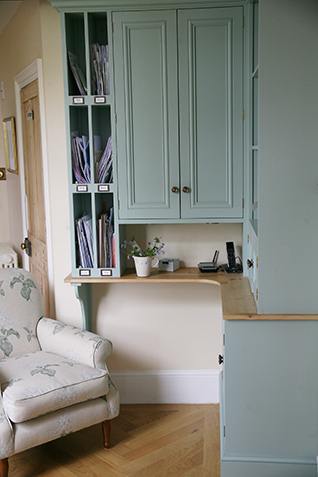 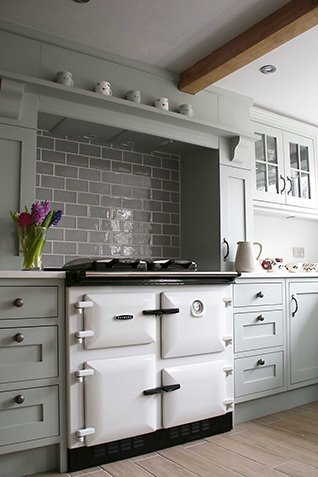 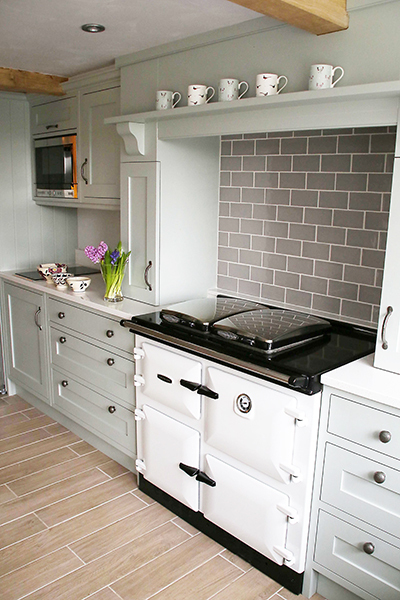 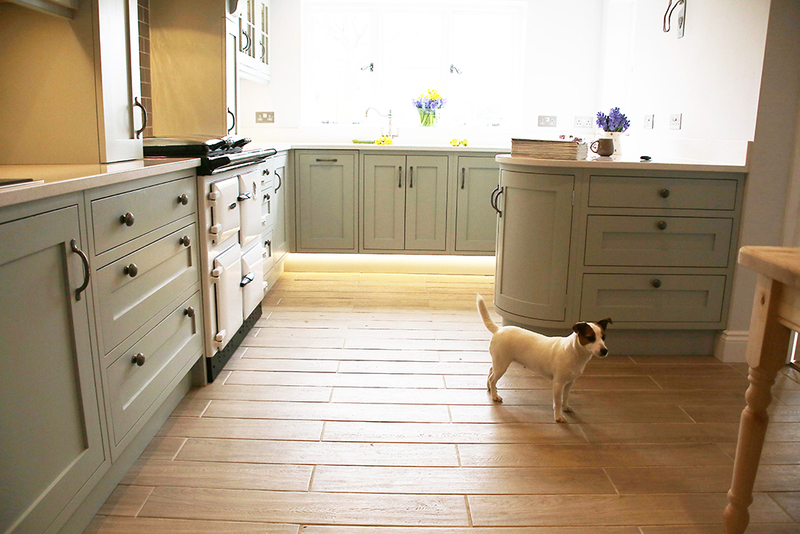 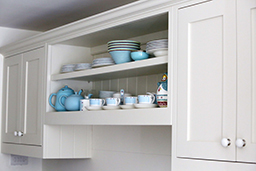 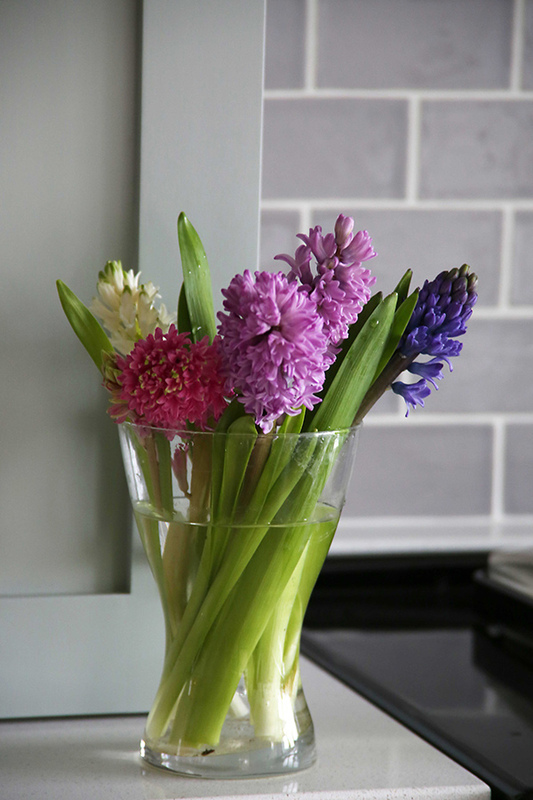 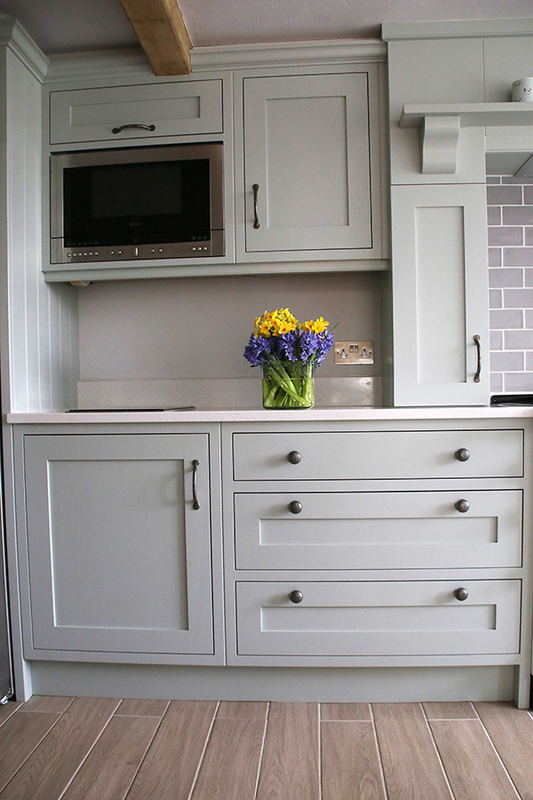 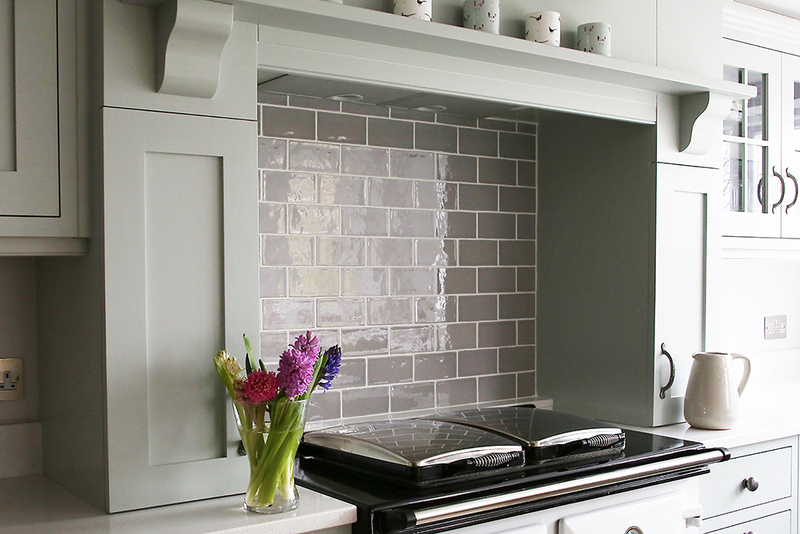 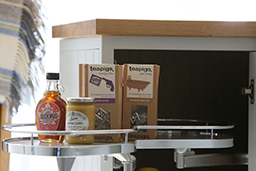 Our personal service ensures we are the perfect choice to help you create your bespoke kitchen. 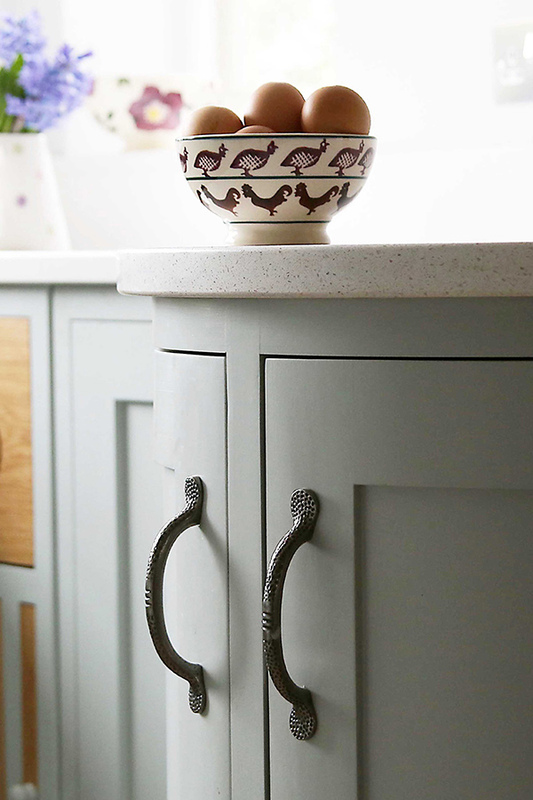 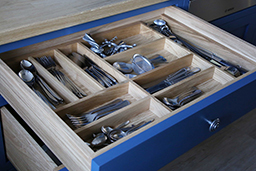 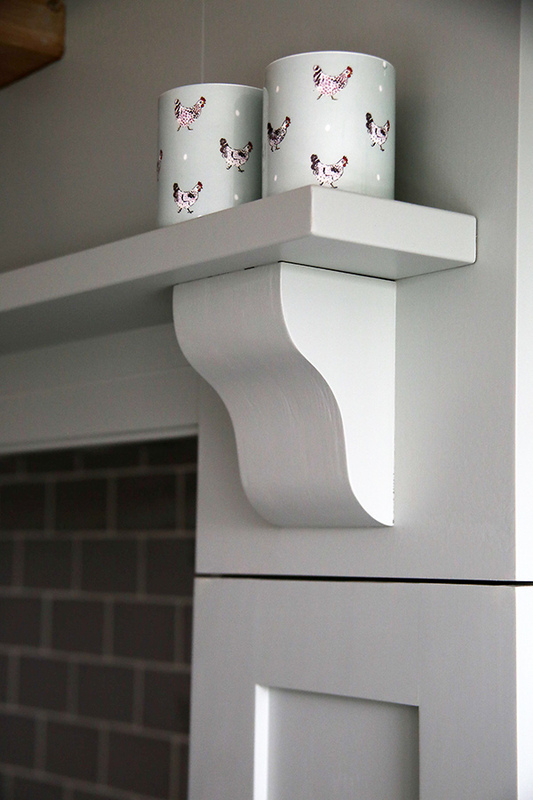 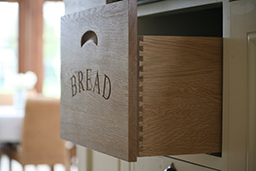 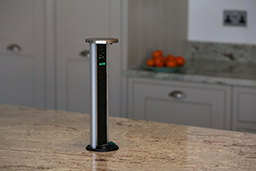 If you require an additional or unique piece of furniture for your kitchen or home, using the highest quality materials, our design team and skilled craftsmen can make it for you. 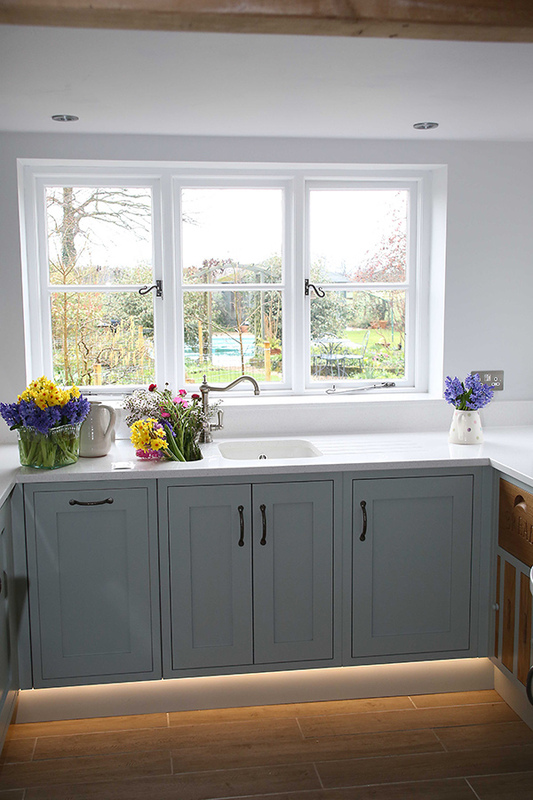 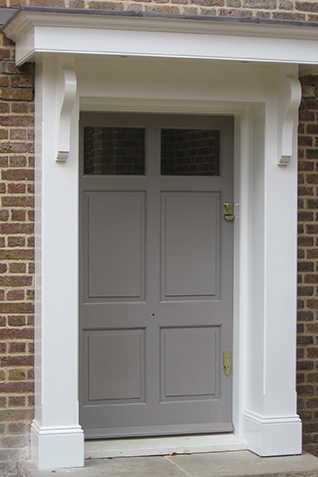 We provide a full range of joinery services for a variety of building projects, including joinery for construction, solid wood windows through to beautiful exterior doors.